Google (s GOOG) TV is dead, long live Android TV: Three years after launching the first generation of Google TV devices, Google is now looking to rid itself of the brand and realign its smart TV platform efforts more closely with Android. The move is part admission that Google TV failed, part hope that Android will eventually find its place in the living room. Sony’s latest TV stick is based on the latest version of Google TV, but you won’t find that mentioned in any of its marketing material. The use of both “Android TV” and “Google services for TV” suggests that Google may not have finalized the new branding for its TV efforts yet, or that it may use a variety of brands depending on the target audience. It’s unclear when the company is officially going to announce the switch. For Google TV, this is more than just a name change. The TV platform was launched three years ago based on Honeycomb, the Android version that also powered Google’s first steps into the tablet world. Google’s latest tablets now run Android 4.3, but Google TV is still stuck on Android version 3.2, which makes it much harder for developers to bring their apps to the TV screen. Google announced earlier this year that it would update Google TV to the latest version of Android, which would allow developers to use the same APIs available on mobile devices. The upgrade to Android 4.2 was officially announced for Q3, but word is that LG will now update their Google TV devices later this month, with other manufacturers following in the coming months. Android has long moved on, but Google TV users have been stuck with Honeycomb. Google recently announced the latest version of Android, code-named KitKat, which could be available as early as next week. The company said earlier this year that consumer electronics manufacturers will be able to more easily upgrade their TV hardware to the most recent version of Android after the switch to 4.2, and one should assume that manufacturers will have access to KitKat as soon as it is released for mobile devices. Of course, when and if devices are going to be upgraded to KitKat depends on each manufacturer, which will apparently have more freedom with other device design choices as well. Originally, Google required device manufacturers to include a full QUERTY keyboard as well as a variety of other hardware specs with each and every Google TV device. The next generation of Android TV devices running Google services could possibly be a lot more customized, with manufacturers picking and choosing from a range of services and apps. Vizio CTO Matt McRae told us earlier this year already that some future Google TV devices may ditch live TV and look more like a Roku box, and Google’s new approach toward Android on TV seems to make these kinds of devices possible. Google had big ambitions for the living room when it first unveiled Google TV back in 2010, but the first generation of Google TV devices was widely rebuffed by both consumers and content providers. TV viewers didn’t like the complicated set-up and unwieldy keyboards of Google TV devices. Broadcasters didn’t appreciate the idea of consumers being able to watch free web content on their TV sets and started to block Google TV from accessing their websites. 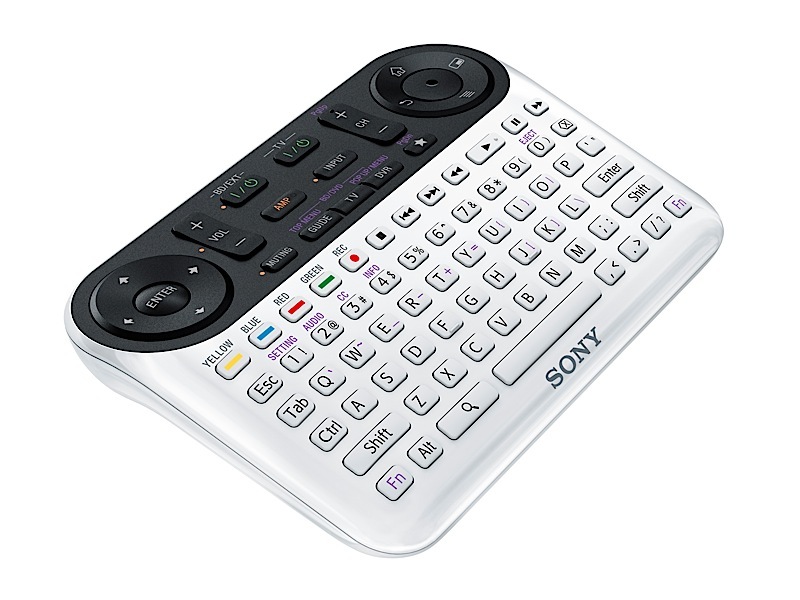 Sony’s first-generation Google TV remote control had 80 buttons. It didn’t exactly help that Google TV was initially based on Intel’s (S INTC) architecture. The chips made Google TV devices a lot more expensive than competing boxes from Roku and Apple, severely impacting sales. Logitech, a manufacturer of a first-generation Google TV companion box, lost millions on its bet on the living room, forcing Logitech CEO Gerald Quindlen to resign. Google gradually improved the Google TV experience, beefing up voice search and partnering with additional hardware manufacturers, but the platform nonetheless never really caught on with consumers. Neither Google nor its partners ever released any sales numbers, but judging from app install numbers available on Google Play, one can estimate that there are just about 1 million Google TV devices currently in use. So why did Google finally decide to rid itself of the brand? The upgrade to the latest version of Android seems to be the main factor, but chances are that the surprising success of Chromecast made the decision even easier. Google hasn’t said yet how many Chromecast devices it has sold since first introducing the product in July, but anecdotal evidence suggests that sales are going very well: Not only was Chromecast sold out for weeks, it’s currently the number one selling electronics device on Amazon (S AMZN), outselling even Amazon’s new Kindle models, as well as its direct competitors from Apple (s AAPL) and Roku. Chromecast is currently Amazon’s best-selling electronics device. But Chromecast isn’t just more successful than Google TV. In many ways, it encapsulates everything Google learned from Google TV’s failures. Consumers and critics mocked the unwieldy remote controls of early Google TV models; Chromecast doesn’t come with a remote at all. Google TV’s early UI seemed too complicated when compared to its competition; Chromecast doesn’t have any UI that has to be navigated on the TV screen. Google TV tried to compete with too many platforms; Chromecast ties in closely with both Android and iOS. Google has already said that it wants to make the core casting capabilities of Chromecast available to other consumer electronics manufacturers, but it hasn’t said yet when or how this is going to happen. With Google TV being rebranded, I wouldn’t be too surprised if we see Google Casting become just one more Google service for TVs – some of which may even run Android. 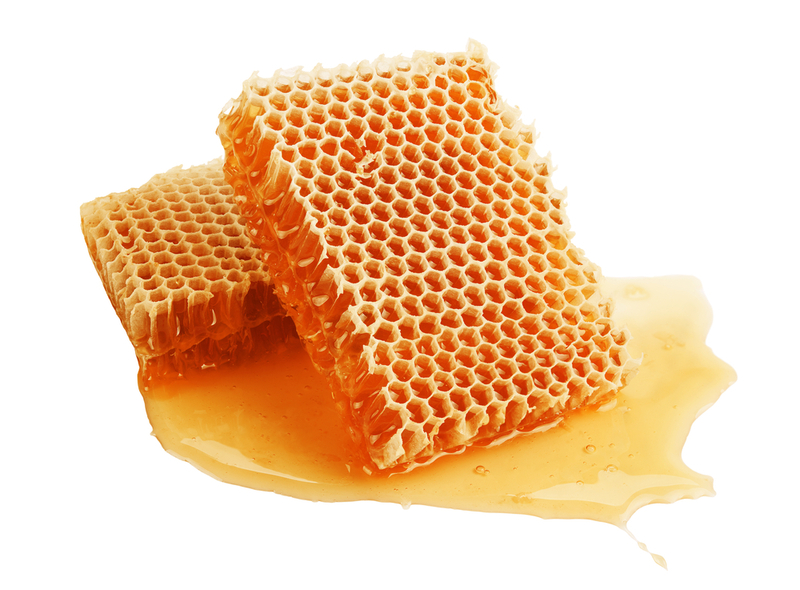 Honeycomb image courtesy of Shutterstock user Lev Kropotov. I have a Sony Google TV. I use to be able to watch HBO Go. Now I can’t. I paid $200 for the device. Now, the $35 Chromecast has HBO Go but not the Google T.V.? Absurd. This is infuriating. You cannot create brand loyalty by cutting off early adopters and people who helped providing funding to support future generations of technology. My prior software allowed HBO GO to work, then an update cut off that functionality and months later, here comes Chromecast. It is outrageous. Well, we already have “The user interface formerly known as Metro” and “The artist formerly known as Prince” …so now we have “The internet video device formerly known as Google TV”. This will no doubt create more confusion in the mind of the consumer. That LG “mini box for Android” is just too cool though, and I would probably buy it so long as it does not spy on me like those LG “smart” TV’s do. * I would DEFINITELY buy it if someone else made it, because my experience with LG products is that they are really trashy; they always break as soon as the warranty is over; they often dont bother to fix legitimate interface bugs, and for some products it is virtually impossible to get the firmware updates because they are not posted on the web site and half of the tech support drones dont even know they exist. LG is barely one step above the chintziest Chinese brands, and Sony is just as foiked-up in other ways: their Blu-Ray players dont play half of my store bought movies due to “copy protection”, and if they think I will buy an overpriced Sony TV just to get that Bravia TV stick they are dreaming. We really don’t care. Call it Google TV, Android TV, or ChromeCast…either way it is still overlapping our streaming video patents. It’s also ironic that your website is hosted on Google Sites. So, they’re using the same technology that you patented to manage the data transfer and handshaking? Google TV is sooo much better than ChromeCast. It already IS “Android TV” and I already could simulcast things from my computer. Glad they are renaming it – glad they are updating it. Bet me that Mr. Chromecast (I have both) has never used Google TV. Where is the controller – oh your smartphone ‘kinda’. I’ve had 2 Google TV products – one logitech the other sony. Finally ditched the logitech (too slow) to another sony – both blu-ray players .. yes the controller does not light up – but Google makes an app that you can control your google tv from your phone or tablet OR computer. I just replaced my TV with a Samsung with 3D. Too my surprise the Sony Google Bluray also supports 3D. Saved me $149 for a new player. If Sony would only upgrade it with 4.2 it really would be the best on the market. I too have a Revue and it is great. I use it daily. It does need more RAM but it still does so much more than AppleTV or the other boxes can do. Can someone tell me how to view my pictures on my Sony Google TV? I have Sony Google TV and the Bluray player, most apps will not run. VUDU, RedBox streaming HBO GO, not supported on the 1st generation models. No support from Sony as the products are 3 years old. The Chinese have been flooding the market with “Android TV” boxes and sticks for over a year. IMO that’s where the common sense re-branding came from. Google does need to step up to the plate and get off their @ss with updates and such. The company has a history of release-and-snooze services many of which have been totally discontinued. Google cannot afford to get out of the business of connected TV. Search for yourself. There is so much money in the business of TV nobody knows how to accurately count it. So not to worry. A little name change and realignment with the markets is how business works. I’m guessing chromemote doesn’t work with the Chinese boxes. Maybe Google’s change of branding would allow for that? I really like my Logitech Revue Google TV. At $99 it was a great deal. At $300, not worth it. I use Google TV daily. The biggest disappointment in GTV is that it doesn’t close the loop. I can search for movies/shows and I get a list of what’s available on various sources on the net and on my cable box. It needs to include Netflix and Hulu. But the biggest problem is that if I select the shows on my cable, instead of being able to set it for recording from GTV, it drops me back into the God Awful Comcast interface where I have to select the show and set it for recording. This integration would need a lot of co-operation from content providers and that’s not going to happen. And of course the fact that the UI is still stuck in 3.0 doesn’t help. On the other hand, I just love the remote. You’d have to be crazy to think that a TV remote without a querty keyboard is better for surfing and searching on the net than the one that comes with GTV. Posting an article from a year and half ago is supposed to support your argument? Chromecast is selling amazingly well so try better next time. TechCrunch is a total joke. tethering the set top to personal devices is essential for targeted television ads which is the holy grail. I have never understood the dissatisfaction with these TVâ€™s I love my NSX-40GT1. I find it so much nicer than my standard TVâ€™s in my other roomâ€™s in the house that are not interactive at all and only display content based on the devices you attach to it. This TV interacts like a large Smart Phone or a all in one PC with a large display. We absolutely love it in our home. I have one as well and love it. What a shame that it didn’t take off, search, TV apps, Web all overlaying the TV was nice. I don’t think I could adjust back to a non qwerty remote when this thing dies. I find it more comfortable and useful. Google TV was always Android, this is just name change. Will my Logitech Revue still work? Will it be affected at all by this change? Like the previous commenter said, it’s only a change in brand names, nothing else. Thanks…that’s great. Love my Revue! Not necessarily. Chromecast is a wireless technology for streaming. Google TV is a set-top box to augment TV. Why couldn’t both exist? For instance, I could see a Google TV-like device come out that uses Chromecast to broadcast to the TV instead of needing to be wired directly into it. Imagine, in the future, DVRs and other set-top boxes using Chromecast to wirelessly stream to televisions. One thing not mentioned here is the success Android is having in the set-top box market. You seen this where? Last I heard its failing thats why they are rebranding it. Whether it’s Google TV or Chromecast, it’s still Android. They may be rebranding things, but it’s still the same battle to get Android into televisions and so far, it has been working well with Chromecast.